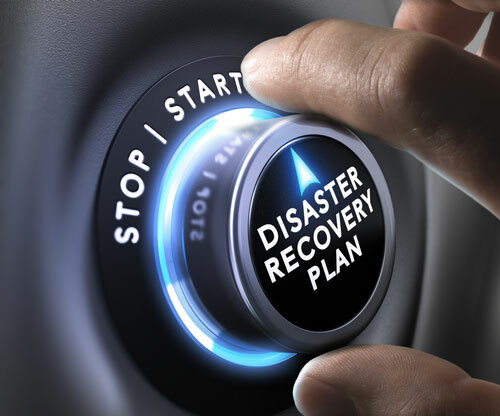 The purpose of keeping your company’s data backed up is to be able to access it if business operations are interrupted, whether by a natural disaster or a system breakdown. While there are on-premise methods of backup, such as collation or putting the data on tape or disks, many businesses look to the cloud to keep their data available. That way, when on-premise systems are down, files and applications can be accessed without interruption. What are the functions your business uses most often? How much downtime can your system handle? Are unified communications (phone and email), or collaboration (file sharing, for example) key components of your business? What about customer databases associated with e-commerce? Make sure to back up those applications and their associated data first. Such applications are best distributed among multiple network backbones, and in geographically diverse data centers. This redundancy can allow one system to take up where another leaves off, ensuring uninterrupted access to data and applications. Once you have your systems and data backed up, test regularly to find any trouble spots that can be fixed before an outage occurs. Testing your backup finds not only corrupted data, but missing systems and files that can slow down the data recovery process. Testing is all about finding potential issues and resolving them before they adversely affect your business.